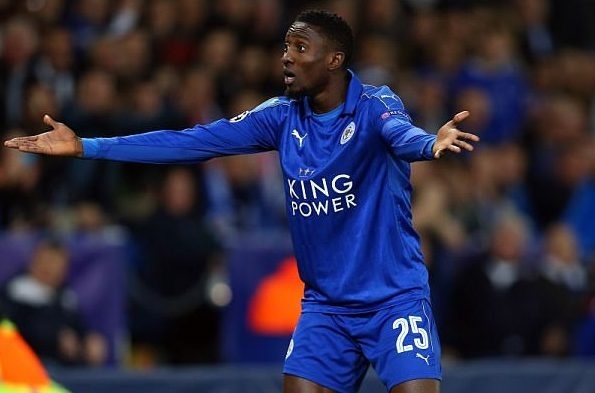 A good number of Nigerians such as Alex Iwobi and Kelechi Iheanacho have all gone far in their football career, and yet another one football star we must talk about is Wilfred Ndidi. We'll be seeing Wilfred Ndidi's biography, age, date of birth, family, early life, education, girlfriend, wife, awards, net worth, cars, houses and everything you need to know about him. In case you missed out on other celebrity footballers, please check out Alex Iwobi and Kelechi Iheanacho biographies and all you need to know about them. Born on the 16th of December, 1996, Lagos State, Nigeria, Onyinye Wilfred Ndidi is the first of three kids. He had two sisters and his dad was a serving member of the Nigerian army, while his mother was a trader. Ndidi started showing toughness in football at a very early age, and was almost always undefeated even by older players.Having grown up in the Military Cantonment in Ikeja, Lagos State, he started playing unprofessionally from his days at the Command Children School and then he moved to the Nath Academy, where he continued with his passion. According to Ndidi, his military father didn't like the idea of his playing football, and would do anything to stop him. However he fought for his passion and got a breakthrough, and was always getting accolades in the field while he was at the Nath Boys. Ndidi is a midfielder for an English Team, Leicester FC and he also plays for the Nigerian national team. He was taken in by foster parents, Theo and Marleen van Vlierden on his arrival in Belgium, where he was supposed to play for Genk. He had to stay with them for close to 18 months and then left to Leicester City. He played with Nath up until 2015,and received a good number of awards. He was first a striker, then a defender and on the 15th of January 2015, he was signed to the KRC Genk with a transfer fee of €180 thousand. He made his debut against the Charleroi and replacing Jane Vrijsen in the match. He was named 'goal of the season' after scoring a long range goal over the Club Brugge in the match and in the 2015-2016 season, Ndidi was honored the third youngest player in the Belgian League. He left the club 2017 with a total of 4 goals in 61 appearances. On the third of January, 2017, Ndidi also signed another 5 year contract with the Leicester City and it was on a transfer fee of €17.60 million. He made his debut match in the club against Everton on the 7th of January, 2017. His first Premier League march came up against Chelsea on the 14th of January, 2017 and he got his first red card in a match against Crystal Palace on his birthday, 2017. Having appeared in two U-20 World Cup matches for Nigeria, Nigeria failed to go beyond the round 16 stages in the matches. He then played as a substitute for Mikel Obi against Cameroon, and it ended with a 3-0 win. Ndidi was named in the 35-man provisional squad in the 2016 Summer Olympics. Not much is known about his personal life, but Ndidi is presently in a relationship with Dinmaa. Wilfred Ndidi's current weekly salary is estimated to be £50,000. From our estimations, Wilfred Ndidi's net worth will be close to $1 million. He was the winner of the 2017 won Leicester City's Young Player of the Year award. What's more? Thanks for reading along. Kindly drop us a comment and don't forget to share to your friends! How much do you know about Iwobi? His net worth will shock you, please see it here.